Captcha implementation is very important to avoid spam comments and feedback and other messages from the form. 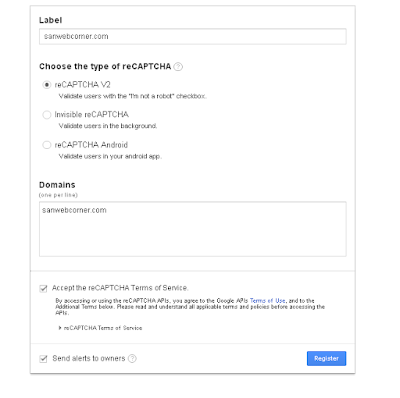 Google reCAPTCHA is one of the simple way to archive this. 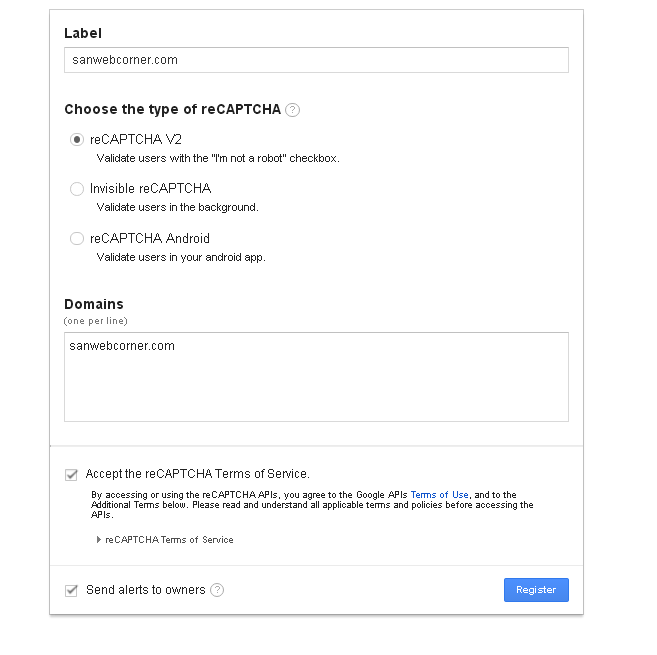 to follow the below steps with example you can easily integrate the google recaptcha to the contact or any other forms. 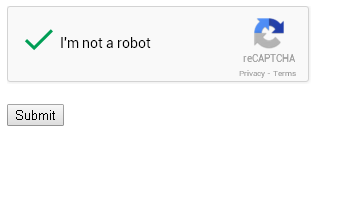 Step:1 Go to www.google.com/recaptcha and click Get reCAPTCHA and then it asks Sign in Google Account. You should sign in from google account. Step 2: Enter label name and choose reCAPTCHA type in that particular fields then enter domain name in domain field if more then one domain enter one by one in domain field. Then accept the terms and condition then click register button.The next button you will get the site key and Secret key using those keys you can implement captcha to contact forms or some other web forms.